The National ICT Confederation of the Philippines (NICP) composed of about fifty information and communications technology (ICT) councils all over the country was jubilant last week as ICT Secretary Rodolfo Salalima expressed support to countryside ICT programs. Wilfredo Sa-a, NICP President and Managing Director of the Cebu Educational Foundation for IT (CEDF-IT), in a statement to the press thanked the newly- created Department of Information and Communications Technology (DICT) for positively considering the proposals of NICP for inclusion in the Implementing Rules and Regulations (IRR) of Republic Act No. 10844 or the law creating the DICT during a public consultation held last Friday, August 5. Representing the NICP during the public consultation was former NICP president and trustee, lawyer Jocelle Batapa-Sigue, Executive Director of the Bacolod-Negros Occidental Federation for ICT (BNEFIT), Michael Tiu Lin, president of the Zamboanga ICT Council, and Annie Tacazon, Executive Director of Cavite ICT Council. The consultation was attended by a wide spectrum of ICT stakeholders from private and public sectors. Armed with a position paper, Batapa-Sigue presented on the floor inclusions under the powers and functions of the DICT in support of the policy of Republic Act No. 10844 policy to foster an ICT sector policy environment that will promote a broad market-led development of the ICT and ICT-enabled services (ICT-ES) sectors, a level playing field, partnership between the public and private sectors, strategic alliance with foreign investors and balanced investments between high-growth and economically-depressed areas. Citing this policy as a countryside provision, NICP proposes for the DICT to formulate policies in consultation with local government units (LGU’s) and other local stakeholders and line agencies for the implementation of responsive, relevant and comprehensive ICT-related strategies to improve the competitiveness of provincial locations for ICT and ICT-enabled services (ICT-ES). Another proposal is for the DICT to develop plans and programs in coordination with LGU’s and other local stakeholders to ensure that universal access to ICT services and infrastructure are effectively utilized to generate investments and opportunities in the rural areas or areas unserved by private sector. 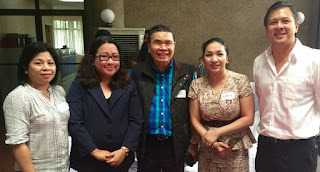 NICP proposed for DICT to assist and support ICT-related activities and initiatives for countryside economic development such as development of local ICT content, applications and services, talent development, and strategic partnerships to support ICT-based start-up enterprises and rural ICT services. Also proposed as among DICT’s functions is to promote and assist LGU’s and local stakeholders in developing specialized ICT-enabled investment areas by providing technical and industry-calibrated assistance in the use of ICT for the enhancement of key public services, such as education, public health and safety, revenue generation, and socio-civic purposes; development and promotion of local arts and culture, and tourism, digital literacy, and talent development and to develop, conduct and assist in trainings and capacity-building workshops for front-liners involved in the implementation of laws against cybercrimes down to the barangay level. To the proposals, Salalima acknowledged the contributions on NICP and assured the body that he will include a provision for countryside development in the proposed IRR since he believes that the direction of the current administration of President Rodrigo Duterte is one for inclusive growth and countryside economic development as evidenced by his mandate for a national broadband plan. NICP has committed to help the DICT in generating 1 million jobs and opportunities related to ICT in the countryside by 2022, from the estimated 300,000 jobs outside of Metro Manila today. Batapa-Sigue considers the pronouncement of Salalima as a clear support for all countryside ICT champions and hopes to see all the proposals in the final draft of the IRR of the DICT which is due on August 9 as provided in the law. To ensure that DICT evolves to be the most innovative government agency, being the newest agency created, Batapa-Sigue said the “countryside clause” under the Declaration of Policy in Section 2 of the IRR must be amplified in the Section 5 under Powers and Functions so in this way, the DICT shall ensure balanced investments throughout the country, making the new department a true champion for inclusive growth and development of a countrywide digital economy.